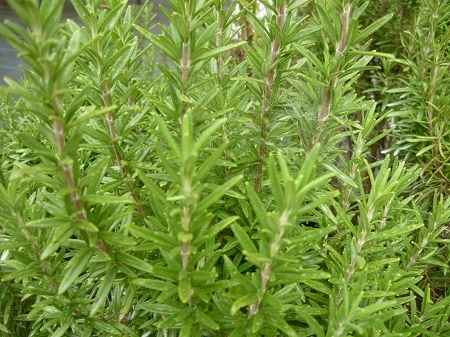 Spice Island Rosemary (r. officinalis 'spice island') - Nice culinary rosemary. Large full leaves and tall upright habit. Excellent flavor. Perennial zones 8-10. Live starter plant in 3 inch container. I was pleasantly surprised by this variety. From my research I was a bit concerned that the flavor would be too bold. I think it is perfect; I think this is my favorite. Also, the branches are very sturdy and could definitely be used for skewers. The spice Island Rosemary was very beautiful healthy and fragrant. Packed and shipped with TLC. Excellent quality Plant. Thanks.